At K BAR R Ranch & Arena, we are producing correct, well minded horses that can be used in the show ring, arena or on the trail. With the concept of good breeding, solid fundamentals and allowing our horses the time they need to understand, we can provide our customers with quality American Paint horses they can take in any direction. All of our broodmares and stallion have been 6 panel genetic tested (HYPP, HERDA, GBED, PSSM, LWO, MH) to ensure we are producing genetic disease free horses. Homebred and shown American Ranch Horse Association World Champion, GIMME MY MISSION, shows in both ARHA and APHA shows throughout the Mid-West, continuing on his “Mission” to become one of the most sought after stallions in the industry. As a TLBAA member, K BAR R Ranch & Arena is also raising Miniature Texas Longhorns and Miniature Bucking Bulls. Check out the Cattle page for more information. 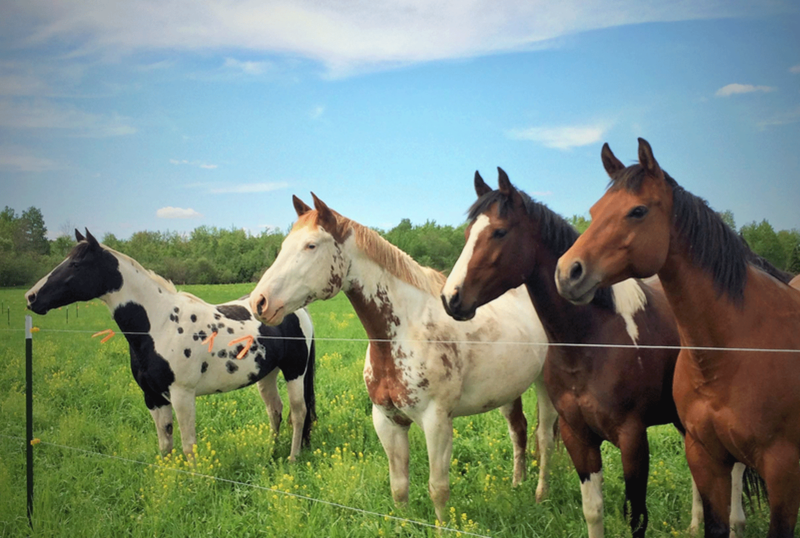 Whether you’re looking to breed a mare to a World Champion Producing Stallion, purchase young or seasoned horses, or are interested in Miniature Cattle, K BAR R Ranch & Arena is here to help. After browsing our website, please feel free to contact us with any questions. Thank you and enjoy!